Goldman Sachs invested more than $1.3 billion from Libya’s sovereign-wealth fund in currency bets and other trades in 2008 and the investment lost more than 98 percent of its value, the Wall Street Journal reported, citing internal Goldman documents. 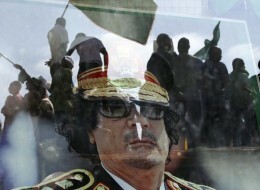 When the fund, controlled by Col. Muammar Gaddafi, made huge losses Goldman offered Libya the chance to become one of its biggest shareholders, the Journal said, citing people familiar with the matter. Goldman Sachs was not available for comment, outside of normal U.S. business hours. Among the different proposals put forward by Goldman Sachs to recoup the losses was one in which Libya would get $5 billion in preferred Goldman shares in return for investing $3.7 billion into the securities firm, the paper added. The documents also show that company Chief Executive Lloyd Blankfein, its finance chief David Viniar and top executive Michael Sherwood were involved in discussions in this regard, the Journal reported. The Libyan fund had apparently paid $1.3 billion for options on a basket of currencies and on six stocks – Citigroup Inc (C.N), Italian bank UniCredit SpA (CRDI.MI), Spanish bank Banco Santander, German insurance giant Allianz (ALVG.DE), French energy company Électricité de France (EDF.PA) and Italian energy company Eni SpA (ENI.MI), the paper said. VAN SUSTEREN: Goldman Sachs got bailed out, right?